A culinary journey to the heart and soul of Japanese culture. 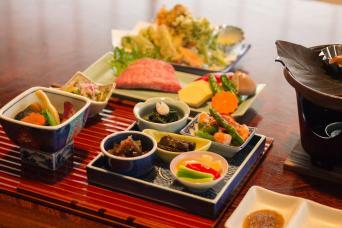 In Japan, food is the best way to engage with local lifestyles and to gain an in-depth experience of regional culture, the daily life of Japanese communities, and individual inhabitants. From foraging for wild ingredients and harvesting the bounty of the land, to cooking lessons with emblematic figures and ordinary members of local communities, this culinary adventure reveals how food is the most intimate way to uncover Japan’s history and culture.